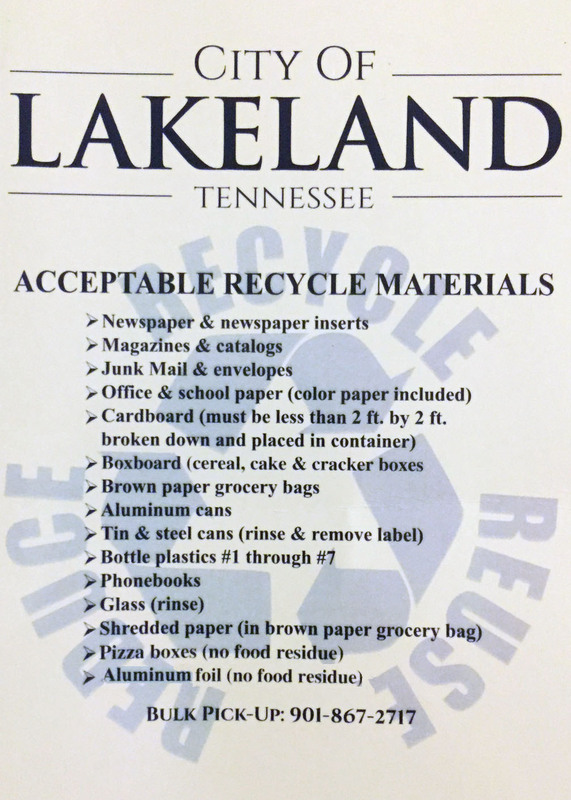 This page can be accessed via LakelandTN.gov/trashdetails or LakelandTN.gov/recycling. Lakeland believes in the importance of keeping a clean and green community. We offer 3-in-1 services (garbage, recycling, and yard waste) through one company, Team Waste. For these services, a fee is added to your monthly utility bill from Memphis Light, Gas and Water. What are Acceptable Materials for Waste Collection? 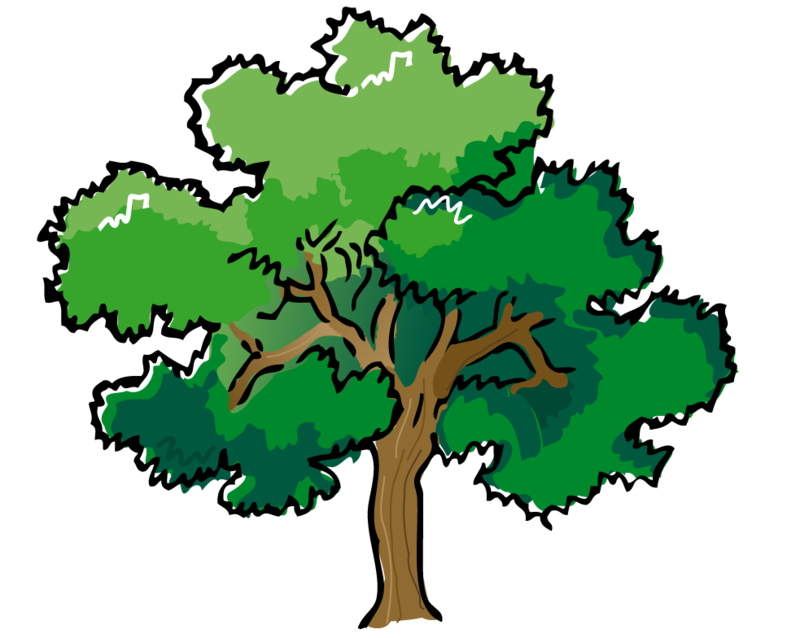 ...Scroll down for info on tree limb removal. Team Waste will be servicing ALL your carts on the same day, once a week, Monday-Friday (i.e. if your pick-up day is Monday, Team Waste will be servicing your garbage, recyclable, and yard waste carts, once a week on Monday). Scroll down to Recycling section for other info. Trash and recyclables collection rules and regulations, here. For Bulk Waste Pickup, call 901-867-5409. Click here for details. All contractor and builder waste must be removed by the contractor. On the scheduled trash day, ALL containers must be left on the curb by 7 AM. There is no need to separate household garbage from yard waste. They are collected by the same truck at the same time. Team Waste monitors when bins are emptied via use of RFID chips, within the carts. This identifies who has and has not been serviced on any particular day. It also helps identify who hasn’t moved their containers to the curb. Please bag your trash before putting into trash bins. Household garbage (trash) is defined as anything from waste cans inside your home and bagged trash that can be placed in the garbage container. DO NOT put hot coals or ashes in your container. DO NOT put construction materials, rocks, dirt, or concrete in your container. It will not be collected. DO NOT put car batteries, paint, tires, large auto parts, and dead animals in your container. It will not be collected. For info on deceased, roadside animals, click here. DO NOT put loose medical sharps in your regular trash cart. Click here for disposal info. YOU MAY put garbage in the yard waste container or yard waste in the garbage container. It all goes into the same truck at the same time. Small appliances may be placed in your 95-gallon container OR left on the curb with regular trash. Call City Hall at 901-867-5409 to schedule pickup. This is a FREE service with the exception of going over 10 cubic yards. Also, there is a $25 fee for appliances. All the details are here. For more information on what to do with Household Hazardous Waste, please click here. If you have a damaged container, please call the City of Lakeland at 901-867-2717 to get a replacement. Dirty trash containers are not a reason for replacement and will not be replaced. Recycling is important to the City of Lakeland and the environment as a whole. It is an essential part of sustaining the cleanliness and livelihood of our community. Recycling is provided as part of Lakeland's sanitation program. Please call 901-867-2717 if you need a recycling cart! Please make sure all containers are clear of food and beverage. Place glass in paper bag, if possible. The "I Want To Be Recycled” Campaign website provides updated educational information about how to recycle often and recycle right. Recycling is one way to keep litter from ending up roadside or in our streams. Keep Lakeland Beautiful webpage, on this site: LakelandTN.gov/KLB. The City of Lakeland provides yard waste disposal as a part of its 3-n-1 sanitation program. A 95-gallon container is provided to put all grass clippings, leaves, small limbs, and branches. As of 7/14, you MAY put garbage in the yard waste container and vice versa. They both go into the same truck at the same time. Reminder: Do not put anything in the recycling bin except recyclables. Trash and yard waste service is provided throughout the week. In addition to the carts, Team Waste will pick up unlimited bags of leaves (35 lbs. and under). Any limbs or branches placed in the cart must be cut to under 6 feet. If you have extra-large limbs or excessive waste, refer to LakelandTN.gov/bulk. In addition to the carts, Team Waste will pick up unlimited bags of leaves (35 lbs. and under). Limbs must in the yard waste cart. 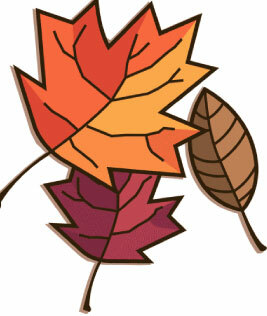 The city will pick-up limbs outside the cart (see LakelandTN.gov/bulk for full details). Call City Hall at 901-867-5409 to schedule a pickup. Details here. NOTE: Any waste that is over 50 lbs. and/or not bagged in heavy duty yard bags is considered bulk waste (with the exception of bundled piles, noted three paragraphs above). Free removal of up to 10 boxes, if broken down. Lakeland no longer offers Landfill Pass Vouchers, but please contact the BFI North Shelby County Landfill Facility at 901-872-8244 for information on disposal of residential municipal waste.